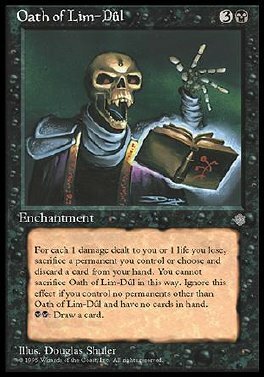 Whenever you lose life, sacrifice a permanent other than Oath of Lim-Dul or discard a card for each 1 life you lost. (Damage dealt to you causes you to lose life.) BB: Draw a card.